Always wanted to get into running, but didn’t know how to begin? An increasingly popular way to get started is Couch to 5K. Anyone who can walk for 30 minutes can do this programme. It is designed to condition your body for running, instead of giving your body the shock of going for a longer run. Running is considered by many as the king of cardio. According to a study by Journal of the American College of Cardiology, running for only 5 to 10 minutes per day at a slow speed (less than 6 mph) will significantly reduce the risk of cardiovascular disease. It’s a great workout and done correctly it won’t take much time to see considerable benefits, programme broken down into 3 runs per week completed in only 30 minutes. Running is a great way to lose weight. 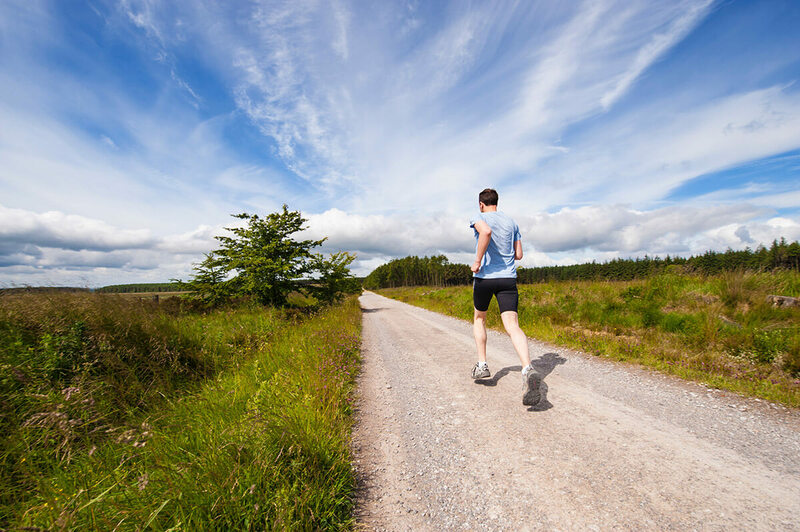 On average running a comfortable pace burns around 8.5 calories per minute. A 30-minute run will burn around 255 calories. A sensible balanced diet is essential complement to running for weight loss. The programme is designed to progressively increase your fitness levels, gradually increasing the run time and decreasing the walking time until you can run 5k without slowing. Alternate 1 minute of running with 90 seconds of walking for a total of 20 minutes. Alternate 90 seconds of running with 2 minutes of walking for a total of 20 minutes. Two repetitions of 90 seconds of running, 90 seconds of walking, 3 minutes of running and 3 minutes of walking. Run for 3 minutes, 90 seconds of walking, run for 5 minutes, 2 and a half minutes of walking, run for 3 minutes, 1 and a half minutes of walking and finish with a 5 minute run. Run one: Run for 5 minutes, 3 minutes of walking, run for 5 minutes, 3 minutes of walking and run with another 5 minute run. Run two: Run for 8 minutes, 5 minutes of walking and finish with an 8 minutes run. Run three: Run for 20 minutes, with no walking. Run one: Run for 5 minutes, 3 minutes of walking, run for 8 minutes, 3 minutes of walking and finish with 5 minutes of running. Run two: Run for 10 minutes, 3 minutes of walking and run for another 10 minutes. Run three: Run for 25 minutes with no walking. The free app lets you pick a famous instructor (choose from Sarah Millican, Jo Whiley, Sanjeev Kohli and Michael Johnson) who will lead you through the training instructions – when to walk and when to run – as well as motivating you to push yourself as much as possible. Each run is saved in ‘My Runs’, so that you can easily track your progress through the nine weeks.